Human Centred Design focuses on people. We use empathy to understand how a problem affects people and frame what success looks like around their needs. While we’ve been highly focussed on people, the climate has tumbled past another alarming tipping point. So what are the limitations of our current approach to Human Centred Design? And is the way we design failing the natural world? 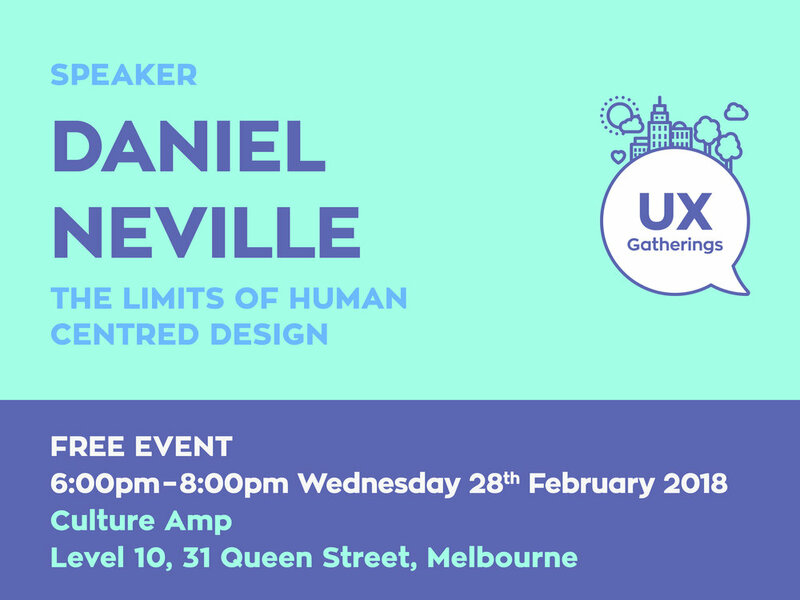 Daniel Neville, Customer Experience Designer at Vision Australia and Lecturer at RMIT, will introduce UX Gatherings to the Anthropocene — a length of time encompassing the significant human impact on Earth’s geology and ecosystems. Dan is a Customer Experience Designer at Vision Australia and a lecturer of UX at RMIT. He's previously worked for Symplicit, Versant, and Appster with a design career spanning over a decade. Dan holds a Masters of DIgital Design from the Univesity of Canberra and an Honours in Theory of Design from Monash. Dan also ran Prototypes & Popcorn, a monthly event of curated movies exploring the methods, tools, and artefacts of design. He believes in designerly ways of thinking and doing, that iteration almost always beats innovation, and all scales should be considered when designing for people, not users.